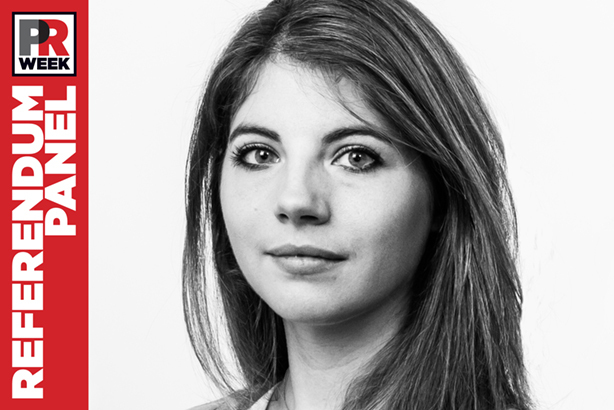 PRWeek EU Referendum Panel: Charity comms officer and PRWeek 30 Under 30 entrant Zoe Gardner asks which out of politicians, croissants and celebrities will actually help the public make up their minds. This referendum campaign has seen both sides teaming up with unlikely allies, and both camps receiving endorsements from a very mixed bag of supporters, but I wonder whether any of these big name interventions actually work? Polls clearly show that politicians 'remain' the least trusted group when commenting on the referendum. UK politicians vocally switching between ‘leave’ and ‘remain’ camps in the past few days therefore may be doing their new sides more harm than good. The opinions of retired or foreign politicians do not fare much better – see Tony Blair, Gordon Brown and Barack Obama’s interventions, and the frankly baffling decision for 'remain' to roll out Sir John Major. It’s also no surprise that ‘leave’ has been completely silent about Donald Trump’s support for its cause. Far more people genuinely love and respect their favourite celebrities and sports stars than they do politicians, though, and JK Rowling, David Beckham and Gary Lineker have all come out for 'remain' in recent days, as well as John Barnes, despite Michael Gove’s embarrassing attempt to claim him for ‘leave’. Brexiteers’ derision of Beckham and Rowling as ‘out of touch billionaires’ has backfired – both are seen as huge self-made success stories, Beckham a working class boy made good, and Rowling famously overcoming extreme poverty. Their positive messages may well reach undecided voters. Business leaders are not quite as popular as football stars, maybe, but Gove’s "Nazis" slur against a group of 1,200 of them coming out for 'remain' this morning comes across as desperate, absurd and divisive – not a good look. Finally, Wednesday afternoon saw a surprise addition to the debate on the ‘remain’ side. Operation Croissant saw dozens of hand-written messages of love from Parisians delivered via the Eurostar to commuters in King’s Cross station, along with fresh French croissants! Joyful and personal, in stark contrast to the rest of the debate that we’ve seen, this was a very welcome addition and a very good stunt indeed.